Hurley: Did either of you see a bald guy with slippers carrying a coconut come through here? Charlie: No, but I did see a polar bear on roller skates with a mango. A little shout out to all you LOST fans out there! For those of you who were equally as disappointed as I was at the season finale, that quote just about sums everything up. If you’re thinking WHAT?? just like I am, you’re not alone. Every other LOST fan feels the same way. Um, woops. 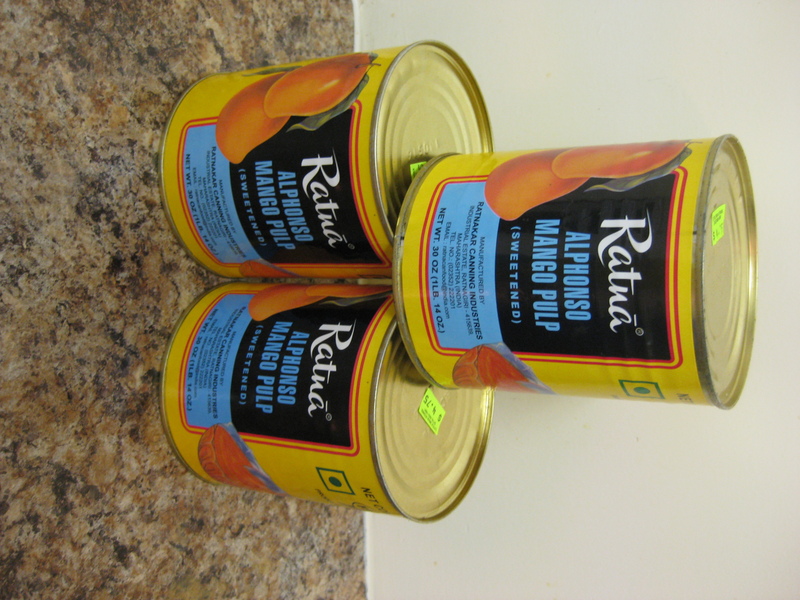 I bought way too much alphonso mango puree. I'll just have to save it for a rainy day! 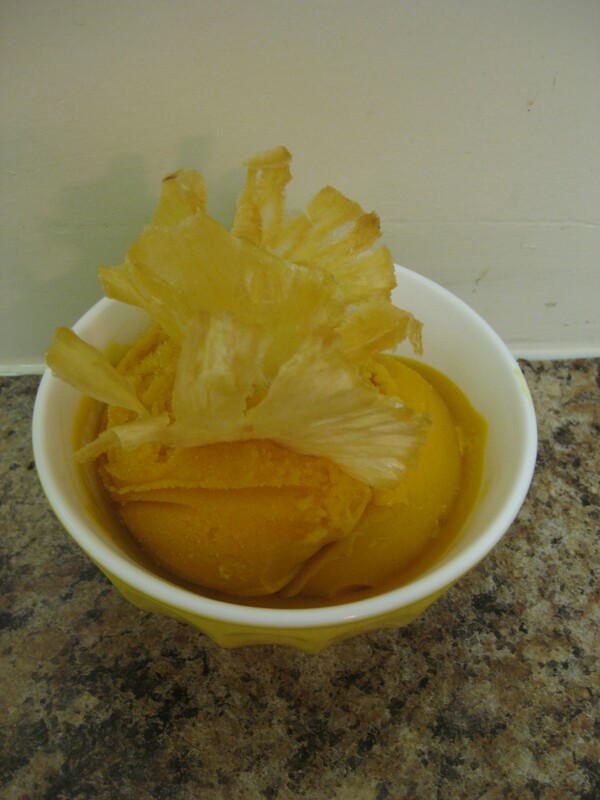 Anyhow, this mango sorbet is very special to me and I’ve been waiting a while to make it so that it would be just right. You see, mangoes are one of my absolute favorite fruits in the world. Perhaps because when The Husband and I first started dating many years ago we enjoyed them together in London , or perhaps because they remind me of the time I’ve spent in Kenya. Scents, they say, can really transport you to another place in time and the powerful scent of mangoes elicits in me a special feeling – one that reminds me of very fond memories. But, no mango holds as special of a place in my heart as the alphonso mango. Originally from India, this mango has a very bold “mango” flavor. That might sound sort of weird, but for those of you who regularly enjoy the Mexican mangoes for sale at fruit vendors in NYC, you’ll notice that while they’re really sweet and delicious, they’re more yellow in color than orange, and a little less mango-ey than you may expect. That’s why I chose the alphonso mango as the star of this sorbetto. The alphonso mango is so rich and creamy, and gives off such a true mango smell, it’s really hard to resist. Trust me. 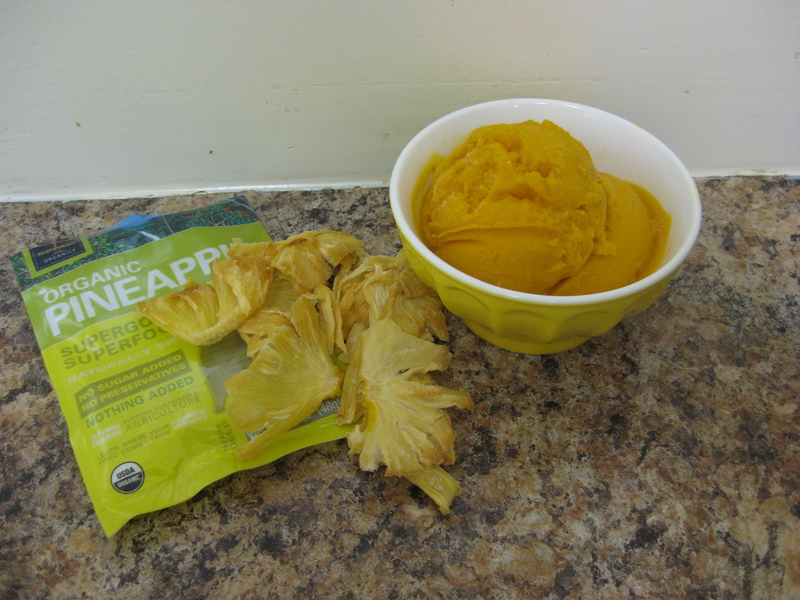 For a little additional burst of the tropics, I decided to add Kopali Organics dried pineapples as a topping. These organic treats not only taste good, but they are also good for you, and good for the small organic farmers, the unsung heroes who still practice truly sustainable agriculture. It’s truly a win-win-win situation. The sorbetto is churning...what a beautiful color! I was feeling a little sassy so I gave my mango sorbetto a mohawk. Can you blame me? This is a hard one. Not sure you can handle it. NOT! In a medium saucepan, combine the water and sugar and bring to a boil, whisking often to dissolve the sugar. Reduce heat to medium-low and simmer for 4 minutes, continuing to whisk until the sugar is dissolved. Remove from the heat and let cool, first outside the refrigerator, and then in the refrigerator until cold, which will take approximately 1 hour. Pour the simple syrup into a bowl, and stir in the mango puree. Whisk until completely blended. 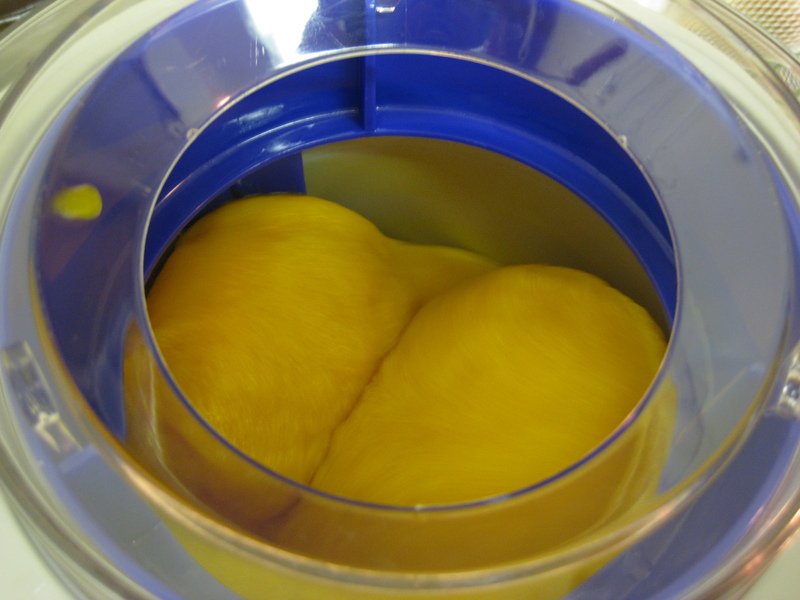 Pour the mango mixture into the bowl of an ice cream machine and churn according to the manufacturer’s instructions. Transfer to an airtight container and freeze for at least two hours before serving. The Verdict: It was a hit! This mango flavor was so powerful, and sweet, and oh-so-mangolicious! First, for a tropical twist I ate it with the dried Kopali pineapple. That was awesome. The next day, I decided to eat it with some fresh fruit and topped it with berries. That too was awesome. Sensing a trend? Really good and really refreshing, no matter how you scoop it!